Worker Loonies live in the realm of Candy Loo Land and reside in Country Town. 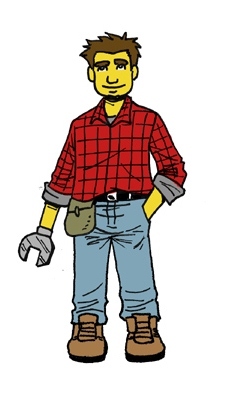 They wear flannel shirts and have yellow faces with tools as their ‘hand’. Mr. Owl resides there too.